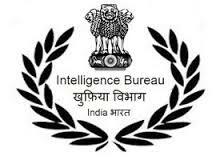 Intelligence Bureau offers Junior Intelligence officer Technical job recruitment 2016. Intelligence Bureau (Ministry of Home Affairs),Government of India releases Online applications for the posts of Junior Intelligence Officer (JIO) Gr.II (Technical).Good opportunity for deserving candidates to prove their Talents. Staff Selection Commission (SSC) gives best government job opportunity for the deserving candidates.This time SSC opens application for the job posts in Government departments in its western region area,Mumbai. Dena Bank is looking for Commendable and Energetic sports person for vacant posts announces by Dena Bank in Officer / Clerical / Subordinate Cadre under Sports quota.Candidates those matches the eligibility criteria can fill the application form.